JEFFREY L. GOLDMAN is a Founding and Co-Managing Partner of Belkin Burden Wenig & Goldman, LLP and head of the firm’s Litigation Department. Known as a tenacious and aggressive litigator with 35 years of experience and passion for success, Mr. Goldman supervises, consults with and trains the firm’s litigators. Mr. Goldman has substantial experience and expertise in civil litigation, both jury and non-jury, concentrating on complex commercial and real estate disputes, including construction litigation, tort and contract actions, partnership and corporate transactional disputes together with general commercial and residential lease violations. Clients rely on Mr. Goldman’s frank and realistic assessment of litigation options to match their business strategies, goals and expectations. Mr. Goldman’s depth and breadth of experience has ranged from successfully representing a corporate client in a breach of licensing agreement action saving the client millions of dollars to representing multiple clients who have been sued and/or investigated by the N.Y.S. Attorney General’s office. Mr. Goldman has also counseled and litigated varied issues pertaining to cooperative and condominium rights in both Civil and Supreme Court on behalf of owners, sponsors and Boards of Directors and Managers in the course of his litigation practice. Mr. Goldman also represents owners and developers in demolition projects, non-primary residence, succession rights and owner occupancy proceedings. 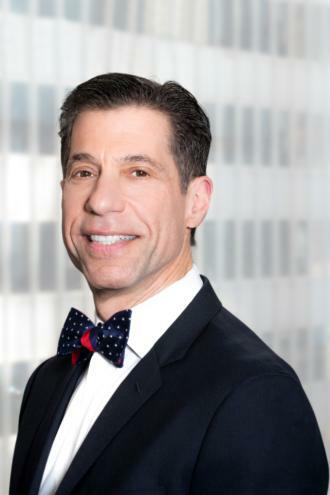 Mr. Goldman is a member of the Committee on Commercial Leasing of the New York State Bar Association and has served on various condominium boards in New York City. Mr. Goldman has also been recognized as a Super Lawyer by his peers each year since 2006.